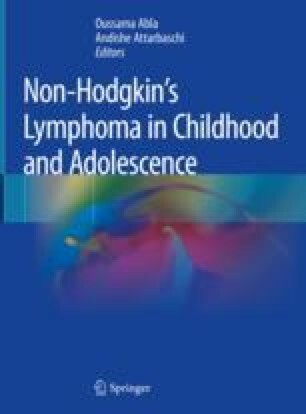 Both extranodal NK-/T-cell lymphoma (ENKTL) and Epstein-Barr virus (EBV)-positive lymphoproliferative diseases (LPD) of childhood are rare forms of T-/NK-cell malignancy with EBV. They are relatively common in East Asia and require special considerations for the management and treatment. ENKTL cells express multidrug resistance-associated P-glycoprotein, which actively export various cytotoxic agents outside the lymphoma cells. Therefore, CHOP or other anthracycline-based chemotherapy is usually ineffective. Concurrent chemoradiotherapy is recommended for limited-stage ENKTL, and L-asparaginase containing regimen, such as SMILE, is recommended for advanced stage. The EBV-LPD of childhood is divided into several types, such as chronic active EBV-LPD, hypersensitivity to mosquito bite, hydroa vacciniforme-like lymphoma, and systemic EBV+ T-cell lymphoma of childhood. The details of each subtype including the clinical course are different, but it is consistent that hematopoietic stem cell transplantation is a key component of treatment. Recently, the efficacy of checkpoint inhibitors for ENKTL has been reported. Further immunological treatment including the EBV-specific cytotoxic T-cell therapy for EBV-LPD may further improve the outcome for these EBV-associated T-/NK-cell lymphoid neoplasms.